In early 1959, a small West German intelligence operation stumbled over a sensational find: U.S. collusion with the Muslim Brotherhood. According to the West German sources—two ex-Wehrmacht soldiers who were in Washington's pay but still felt loyalty to their old German bosses—Washington was supporting one of the Brotherhood's top men, the Geneva-based Said Ramadan, son-in-law of the movement's founder Hassan al-Banna, in the hope of using him in the global battle against communism. The U.S. double-agents wanted to know if the West Germans would also help support Ramadan. Bonn's response was an unequivocal "no": not because of ethical qualms about doing business with the Brotherhood but because of practical considerations. "Ramadan doesn't possess the slightest influence in the Orient," read an evaluation by the head of the West German intelligence operation, Gerhard von Mende. "A connection with him would only yield negative consequences." 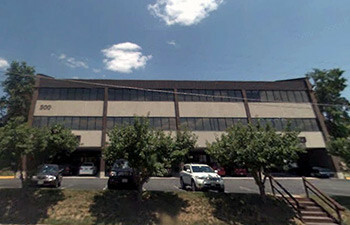 In an unassuming office complex in Herndon, Virginia, the Muslim Brotherhood's European leaders set up the International Institute of Islamic Thought (IIIT) as a beachhead for spreading Islamist thought in the West. IIIT's headquarters were raided by the FBI in 2002 for connections to terrorists, and the institute was cited in 2010 by the Justice Department as an unindicted coconspirator in the Holy Land Foundation terrorism financing case. Von Mende was neither the first nor the last to have underestimated the Brotherhood or its leaders. In its 83-year history, the movement has time and again been written off as out of date, broken, or otherwise a non-force. Most recently, Western analysts of the Middle East upheavals were quick to portray the Brotherhood as out of touch and, basically, inept. U.S. director of national intelligence James Clapper reduced it to a "largely secular" movement while anthropologist Scott Atran argued that its "failure to support the initial uprising in Cairo on Jan. 25  has made it marginal to the spirit of revolt now spreading across the Arab world." News pages had similar coverage with the Brotherhood's absence in some Cairo neighborhoods seen as indicative of its declining importance. Of course, as is now known, the Brotherhood played a leading role in the Egyptian uprising and its wake. This should have come as no surprise. For all its flaws, mistakes, and disastrous decisions, the Brotherhood is one of the most resilient organizations in modern history. Its longevity is due to one of its defining characteristics: an almost intuitive ability to assume new forms while pursuing its ultimate goals and carving out niches of influence. In its eagerness to write off the Brotherhood, the West has shown a distinct lack of attentiveness to the group, leading to decades of blunders. Nowhere has this phenomenon been more starkly demonstrated than in Europe. For half-a-century—unlike in the Arab world—the Brotherhood has been able to grow without any restrictions, going from a one-man operation centered around Ramadan to being the continent's foremost Islamist force. How this happened illustrates the Islamist movement's potency and hints at ways it can be dealt with today. A decade after the 9/11 attacks, why is the West still grappling with Islamism, not so much as a force for terrorism—though that risk remains potent—but as an important political force throughout the Middle East and beyond? Gamal Abdel Nasser's 1954 ban of the Brotherhood forced the group to reorganize abroad. While many of its senior leaders would spend years in Egyptian jails and its top theoretician, Sayyid Qutb, would be executed, the group was fortunate in having two havens where it was able to regroup. One was Saudi Arabia where it laid down deep roots, eventually melding with indigenous Islamist movements to create a powerful and violent challenge to the ruling royal family. The other, less well-known haven was Europe. Ramadan had already been to the continent several times and was studying law at Cologne University. When the Egyptian ban came into effect, he was living in Geneva, which he would make his home until his death forty years later. This was a period before the great influx of migrant workers was to transform Europe. Muslims were few and far between. Germany, for example, had just two mosques, one in Hamburg and the other in Berlin. But this does not mean that Islam was not on the radar of Western policymakers. The process of decolonization was creating dozens of newly independent states, many of them Muslim. Western intelligence agencies were eager to use covert propaganda to influence these countries for broader, strategic purposes, such as the battle against communism. West Germany was home to several hundred Muslims (estimates vary with the upper limit around 2,000) who had served in the Wehrmacht and the Nazi SS. They had been former Red Army soldiers who had been captured by the Germans and changed sides, either for fear of death in the horrific German prisoner-of-war camps or because of their belief in the Nazis' promise to liberate their Soviet-ruled homelands. After the war, most were repatriated but some managed to stay on, congregating for various reasons in Munich. Many of these began working for von Mende, who had spent the war years in the Reich Ministry for the Occupied Eastern Territories (usually known as the Ostministerium), coordinating Muslim and other Soviet minorities. After the war, he set up a series of quasi-free intelligence operations that have remained unstudied to date, eventually settling on the name "Research Service East Europe" (Forschungsdienst Osteuropa) that was co-financed at various times by the West German Interior Ministry, Foreign Office, External Intelligence Service, and Domestic Intelligence Service. Von Mende tried to rally the Muslims who stayed behind—many of them his old Ostministerium colleagues—in order to achieve West German foreign policy aims, including the long-term recovery of lost German territories east of the Oder-Neisse border. One of his methods for winning over the Muslims was to promise them a mosque in Munich. Ramadan stepped into this complex situation in 1958. Under von Mende's guidance, the Munich Muslims set up a registered, legal organization to build the mosque, inviting young Arab students for extended stays in the city. Ramadan was thus invited from Geneva to Munich and within a year kicked out von Mende's Muslims and took over the project, using his position as head of the Munich Mosque Construction Commission to traverse the Muslim world with his assistant (and later rival), Ghaleb Himmat. Ramadan was aided significantly by the Central Intelligence Agency, which allegedly paid for his travel and backed his efforts to take over the mosque. Suspicions by the West German and Swiss intelligence services that he was a CIA operative have never been positively proven, but the archives show an early U.S. fascination with the Brotherhood, one that would recur in the subsequent decades. Whatever the reasons behind the U.S. support for Ramadan and the Brotherhood, the latter made good use of their European platform. Through dint of hard work and organizational prowess they used the mosque as a springboard to create a European-wide network. An initial effort at forming a framework for Islamism in Europe took place in 1973, just a few months before the Munich mosque opened. Held in London's theater district, the Islamic Cultural Centers and Bodies in Europe was designed to establish a network of like-minded groups. Several dozen activists attended, including Ghaleb Himmat, freshly minted as head of the Islamic Community of Southern Germany—the official name of the Munich mosque. Reflecting Saudi Arabia's efforts to dominate organized Islam, the chairman was a Saudi. Himmat was elected to the governing council, along with Khurshid Ahmad, a leading Pakistani activist. The meeting did not immediately succeed in setting up a European network, but it was a first step. Four years later, the Brotherhood scored a crucial success. A meeting in the Swiss lakeside resort of Lugano, headed by Himmat and Yusuf Nada, another key person in the mosque, with the participation of prominent activists, notably Yusuf al-Qaradawi, now widely described as the Brotherhood's spiritual leader, initiated the arduous process of rebuilding the organization after the years of Nasserite repression. In Europe, protected by laws and institutions, they were free to set up lasting structures, beginning with the International Institute of Islamic Thought (IIIT), whose real task was to provide the theoretical underpinnings for the spread of Islamism in the West. In 1978, the group met in Saudi Arabia and decided to relocate IIIT to the United States where it would be headed by Ismail Faruqi, a leading Islamist thinker who had also been in Lugano and who held a teaching post at Temple University in Philadelphia. Meanwhile, the Islamic Center of Munich continued to grow in importance, and in 1982, changed its name to the Islamic Community of Germany, reflecting its growth across the country. The Islamic Center of Munich was still important but now primarily as the headquarters of a national group that oversaw a chain of mosques and cultural centers. The exact number of these, in the early 1980s, cannot be ascertained, but it had branches in all major West German cities. Reflecting its international importance, the group continued to add members from abroad, turning membership in the mosque into a badge of honor. Khurshid Ahmad, for example, joined. He had been at the 1973 London meeting and was the most important representative in Europe of Jamaat-e-Islami, the South Asian version of the Muslim Brotherhood. Another key person to join was Issam al-Attar, the charismatic head of the Muslim Brotherhood's Syrian branch, who had moved to Belgium in the early 1960s and settled in the West German city of Aachen in 1968. Their joining was emblematic of the international Islamist movement's ability to overcome the ethnic divisions that had split Islam. Although men like Himmat, Attar, and Ahmad had their ideological and personal differences, in Europe they had far more in common. From their point of view, they were the vanguard of a new Islamist wave in the West, pioneering minorities in Christian lands. But they had little to do with ordinary Muslims or the mosque they were supposed to be leading; they did not live in Munich, and the mosque was just a vehicle for their struggle. The group's disconnect from West Germany was highlighted by Himmat, who sent in the protocols of the 1982 meeting by registered mail from his villa overlooking Lake Lugano, 250 miles away from Munich. By the 1990s, an alphabet soup of organizations had stretched across Europe. The Islamic Community of Germany—as the organization based at the mother mosque in Munich—was a founding member of the Brussels-based Federation of Islamic Organizations in Europe linking Brotherhood groups in more than twenty countries. Attached to it is the Dublin-based European Council on Fatwa and Research that issues religious opinions to European Muslims. A funding arm, the U.K.-registered Europe Trust, channels money from the Persian Gulf to groups sympathetic to the Brotherhood in Europe, primarily to build mosques. And the European Institute of Human Sciences trains imams at three campuses in France and Wales. All these bodies and organizations are linked to the Brotherhood through interlocking directorates and senior advisors, such as Qaradawi. These groups also receive significant funding from foreign donors such as the Maktoum Foundation. This frenzy of institution building highlights an important point about the Brotherhood, namely that it is not a religious society with theological goals. It has had one or two important thinkers, but their main point has been simple: The Qur'an should be interpreted in a relatively literal fashion so as to shape every aspect of temporal society. Most of its members, especially the key institution builders and functionaries who run it, have no theological training or knowledge. Many held degrees in engineering, medicine, or law, leading to the sometimes mocking term of "engineer Islam." This personnel mix, however, is ideally suited for institution building. Back in Egypt before it was banned, it imitated 1930s-style fascist parties. The Brotherhood had political parties, newspapers, youth associations, women's groups and a quasi-military wing. In Europe, these diligent functionaries dutifully duplicated much of this structure (minus the military wing). The main difference is that the Brotherhood is operating as a minority religion, so it uses its structures not to Islamize mainstream society—which is an unrealistic task—but to dominate the West's Muslim communities. It aims to shield them from the West's secular and multicultural societies, providing an alternative reality for its members. It also tries to convert other Muslims into "better" Muslims, who follow the Brotherhood's narrow vision of Islam. This goal is all the more important given the fact that since the abolition of the caliphate (in 1924), the Islamic world has had no overarching religious authority or structure. If a group set up a body and claimed to speak for Muslims, few could challenge it unless a rival group was set up. The Brotherhood, with its organizational prowess, has been quicker and more efficient than other Muslim groups to assert its preeminence in Europe—from Ramadan's pan-European Muslim conference sponsored by the CIA in the 1960s to the pan-European federation today. It is no coincidence that in both cases—and all in between—outsiders have financed the Brotherhood's activities. That is because at its heart, the Brotherhood outside of Egypt is not a mass organization. It is a group of elite organizers who have set up the structures to define Islam in the West. The Islamic Center of Munich and all successor organizations have never numbered more than a few dozen members. These people did not serve Munich's Muslim community—indeed, the Turkish Muslims who by the 1970s made up 90 percent of the city's Muslims were explicitly denied membership. Instead, the leadership was obsessed with setting up structures. In the Cold War, these groups were relatively unimportant. If anyone paid attention to them it was with a view to using them to fight communism. But as they developed, something unexpected happened: Europe, once outside the Muslim world, became central to its future, and the Brotherhood, after years of laborious organizational work, was suddenly poised to lead the charge. The Brotherhood may be influential in Muslim circles, but is it involved in terrorism? The answer to this is, yes, but this is to some extent a moot point. Since 9/11, terrorism has become a far-too-narrow test for Western evaluation of Islamist groups. If they are violent (usually defined in terms of attacks against Western targets), then they are bad; otherwise, they are good. The Brotherhood has managed to slip through relatively unscathed—yet another indication of the underestimation of its real importance. To illustrate this point, it may be useful to return to the Munich mosque and two of its brushes with terrorism. Mahmud Abouhalima, the man convicted of the 1993 World Trade Center bombing, for example, had been a regular at the mosque and had sought spiritual counseling from Ahmad al-Khalifa, then the mosque's chief imam. Khalifa and the center denied any connection with the plot, saying Abouhalima had simply come for spiritual counseling. There was also the case of Mamduh Mahmud Salim, widely seen as al-Qaeda's finance chief and bin Laden's personal mentor. He was arrested in 1998 in a small town near Munich while on a business trip to Germany. Before being extradited to the United States, he called up Khalifa and asked for spiritual guidance. (He was later put on trial in New York and sentenced to thirty-two years in prison.) Khalifa confirmed to having met both men but described the contacts as being purely humanitarian work. German intelligence was, nevertheless, alarmed and launched an all-out investigation into Salim's contacts. One, in particular, stood out: Mamun Darkazanli—a Syrian businessman living in Hamburg, who attended a small mosque there called al-Quds. German police bugged Darkazanli's home and observed his contacts at the mosque, including one particular man, Muhammad Atta, but being unsure about the nature of their findings decided to drop the investigation. Two years later, on September 11, 2001, Atta flew the first plane into the World Trade Center, and al-Quds mosque emerged as a place where the hijackers had been radicalized. Darkazanli was never prosecuted, but he was yet another less-than-glorious link between the Islamic Center of Munich and political-religious extremism. Shocked by the 9/11 attacks, the U.S. government swung hard against the Brotherhood. Investigators were especially fascinated by one of Nada's investment vehicles, Banque al-Taqwa. Himmat sat on its board, and seemingly every Islamist in Europe had bought shares in it, making its shareholder list a who's who of the Muslim Brotherhood in Europe. Nada had set up the bank as one of the first financial institutes to operate in conformity with Islamic law. Instead of offering depositors interest, the bank called its customers investors and offered them profits from money it lent out. But he had invested the money amateurishly—Nada himself says he put most of it in Malaysian businesses shortly before the 1997 Asian financial crisis—and the bank went under. U.S. prosecutors, however, concluded that the bank was a conduit for terrorist money. Washington declared Nada and Himmat terrorist financiers and had the designation endorsed by the United Nations. Both men's bank accounts were frozen. The Islamic Community of Germany suddenly faced a financial crisis. The community's chief officer, Himmat, signed the group's checks, but now anything he touched was frozen. There was also a painful interview in the Munich mosque's publication al-Islam, in which Khalifa tried to justify why Himmat, who had lived in Lugano for decades, was running the group. After twenty-nine years at the helm, Himmat resigned in early 2002. But this did nothing to combat terrorism. As the Munich mosque's links to the 9/11 attacks show, the Brotherhood is not so much—at least in terms of Western targets—an active promoter of terrorism. Instead, it creates the milieu from which terrorism arises. Atta did not receive instructions from anyone affiliated with the Munich mosque, but the mosque was part of an Islamist environment with links to Atta. This is why the government's attempts to cripple Nada and Himmat financially were inappropriate. The problem that both men posed was ideological and needed to be countered on this level. Their lack of direct links to terrorism was proven by Washington's inability to prosecute them. Eight years after freezing their accounts, Washington had to acquiesce as they were unfrozen. This parallels a broader and equally uninformed rapprochement between Western governments and the Brotherhood. By the second term of George W. Bush, efforts were already underway to renew Washington's decades-old links to the group. The State Department organized conferences between the European Brotherhood and American Muslims—who are also in groups descended from that organization. All of this was backed by CIA analyses, with one arguing that the Brotherhood featured "impressive internal dynamism, organization, and media savvy." Ignoring warnings from Western allies against supporting the Brotherhood in Europe, the CIA pushed for cooperation. This policy has continued under the Obama administration. Why the enduring interest in the Brotherhood? Since its founding in 1928, the movement has managed to voice the aspirations of the Middle East's downtrodden and often confused middle class. Although it has many adherents at the lowest-rungs of society, it is run and organized by educated professionals. An organization run by such people and appealing to the masses is naturally intriguing to Western policymakers eager to influence this strategic part of the world. But how the Brotherhood achieves its appeal makes it a dubious partner. Most Muslim societies have lived through more than a century of oppression by corrupt and brutal elites, and Islamists have invariably presented the establishment of religious rule as the only road to a more just society. In truth, however, the Brotherhood has offered a fundamentally anti-modern, political program and ideology, exalting the small number of "true" Muslims who adhere to a literalist view of the Qur'an and writing off the rest—including most Muslims—as apostates. Many Brotherhood spokesmen claim it renounces violence, but its chief theoreticians have not been able to bring themselves to do so. Qaradawi, for one, has regularly railed against "Zionists and Jews"—although some analysts claim this is not so serious and that he is actually a moderate (at least in comparison to al-Qaeda). Yet he has explicitly endorsed suicide bombings against Israeli civilians, including children (because they will grow up to be adults), expressing his desire to die as a martyr "at the hands of a non-Muslim." This means that a decade after 9/11, the West is still unsure how to deal with Islamism. Just as in the 1950s, policymakers tended to either lionize Islamists as potential allies in the struggle against communism or write them off as passé; these two extremes have been much in play in the decade attending the attacks. What is missing is a middle way that treats Islamism for what it is: a potent ideology that is likely to be a threat for the foreseeable future. Ian Johnson is an author based in Berlin and Beijing who specializes in the intersection of religion and civil society. He was Germany bureau chief for The Wall Street Journal and, in 2010, published A Mosque in Munich: Nazis, the CIA and the Muslim Brotherhood in the West (New York: Houghton Mifflin Harcourt). "Aktennotiz Betr. Besuch von Shamil and Magoma," German Foreign Office Political Archive, Berlin, AA PA ZA 105731, Feb. 3, 1959. YnetNews (Tel Aviv), Feb. 11, 2011. Scott Atran, "Egypt's Bumbling Brotherhood," The New York Times, Feb. 2, 2011. See, for example, The New York Times, Feb. 15, 2011. Stephane Lacroix, Awakening Islam: Religious Dissent in Contemporary Saudi Arabia (Cambridge, Mass. : Harvard University Press, 2011). Alexander Dallin, German Rule in Russia: A Study in Occupation Politics, 2nd ed. (London: The MacMillan Press Ltd., 1981. p. 540. "About the Muslim Brotherhood," Global Muslim Brotherhood Daily Report, accessed June 24, 2011. Ian Johnson, "The Muslim Brotherhood in Europe," briefing before the Congressional Human Relations Caucus, U.S. House of Representatives, Washington, D.C., Feb. 9, 2006. Ian Johnson, A Mosque in Munich: Nazis, the CIA, and the Rise of the Muslim Brotherhood in the West (New York: Houghton Mifflin, 2010). Lorenzo Vidino, "The Western Brotherhood," The New Muslim Brotherhood in the West (New York: Columbia University Press, 2010). Impact International, May 25-June 7, 1973, p. 3. Muhammad Shafiq, Growth of Islamic Thought in North America: Focus on Ismail Raji al-Faruqi (Brentwood, Mass. : Amana Publications, 1994), p. 27-9. "Protokoll," Amtsgericht München (Munich district court), Dec. 4, 1982, p. 1. Author's interview with Ahmad Rawi, former head of the Federation of Islamic Organizations in Europe, Markfield, U.K., July 21, 2004. Time Magazine, June 24, 2001. Al-Islam (Munich), June 2001, pp. 16–8. Ian Johnson and Alfred Kueppers, "Missed Link," The Wall Street Journal, Oct. 19, 2001. Matthew A. Levitt, "The Role of Charities and NGOs in the Financing of Terrorist Activities," Subcommittee on International Trade and Finance, U.S. Senate Committee on Banking, Housing, and Urban Affairs, Washington, D.C., Aug. 1, 2002. Amtsgericht München, Jan. 13, 2002. Himmat gave the explanation of the frozen accounts in a telephone interview, June 1, 2005. Tom C. Korologos, U.S. ambassador to Belgium, "Islamist Extremism in Europe," testimony before the Subcommittee on European Affairs, U.S. Senate Foreign Relations Committee, Apr. 5, 2006. "Muslim Brotherhood: Pivotal Actor in European Political Islam," Central Intelligence Agency, Langley, Md., May 10, 2006. BBC News, July 7, 2004; Global Muslim Brotherhood Daily Report, Jan. 31, 2011; see, also, "The Qaradawi Fatwas," Middle East Quarterly, Summer 2004, pp. 78-80. Related Topics: Muslims in Europe, Radical Islam | Ian Johnson | Fall 2011 MEQ receive the latest by email: subscribe to the free mef mailing list This text may be reposted or forwarded so long as it is presented as an integral whole with complete and accurate information provided about its author, date, place of publication, and original URL.